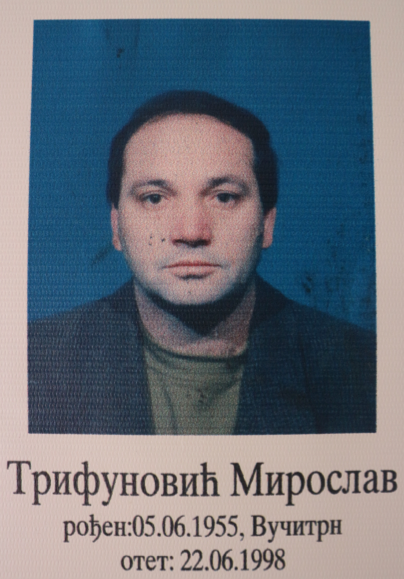 Miroslav Trifunovic represents one of the 1.665 persons who are still missing from the hostilities during that period. His brother, Milorad, is still fighting to find his remains. The 21st of June in 1998, the Yugoslav football team played against the German’s in the former Félix Bollaert stadium (now called the Stade Bollaert-Delelis, in France. Milorad Trifunovic (50) and his brother, Miroslav (42) watched the match together. The sports clash ended in a 2-2draw, however, due to the football dynamics, it meant victory for the Yugoslav team. “That was the last time I saw my brother. We decided to meet the following day to celebrate the victory of our football team. I went to the restaurant and I ordered food. The bad news came when I was waiting for him there. My brother had been kidnapped earlier that morning along with nine other colleagues by the Kosovo Liberation Army (KLA) when they were on their way to work,” Milorad tells. The KLA – or UÇK in Albanian – was an ethnic-Albanian paramilitary organization that fought against the Federal Republic of Yugoslavia and Serbia during the 1990s for the independence of Kosovo. For that reason, Albanians usually refer to them as ‘freedom fighters’. However, due to their attacks on Serbian police and citizens, they are considered ‘terrorists’. In fact, after the recent dissolution of the International Criminal Tribunal for the former Yugoslavia (ICTY), a new Special Court, the so-called ‘Kosovo Specialist Chamber’ was created. It consists of international prosecutors and judges and has been set up in The Hague in order to begin commencement last year. It’s purpose: to prosecute mainly former Kosovo Liberation Army fighters for wartime and post-war crimes. The Trifunovic family has Serb roots. Before the war, they used to live in Vushtri, a Serbian majority village. 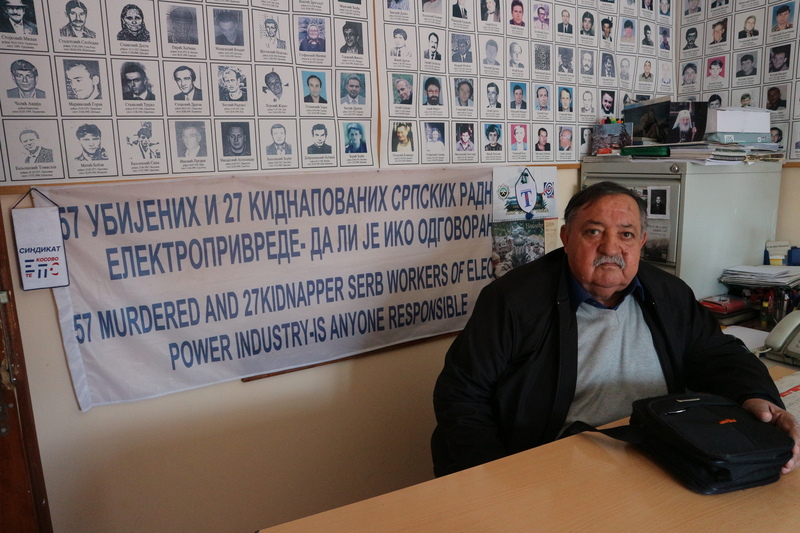 Miroslav worked in the Belacevac mine, which produced coal to power electricity. “They were kidnapped just because they were Serbian. They wanted to frighten the people. The Electric Power Plant in which he worked was the largest coal mine operated by Serbia in Kosovo at that time. They wanted to provoke some police operations against Albanians, so they could justify what would happen later on. As it was what already happened later during the war”, explains Milorad. At the end of the Kosovo conflict (Feburary 1998 – June 1999), the International Commission on Missing Persons (ICMP) estimated approximately 4.500 missing person cases existed including Kosovo Albanians, Serbs, Roma and people from other communities. 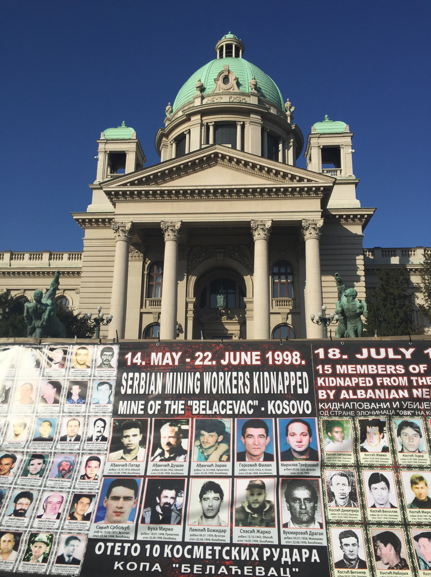 Since then, a massive effort has been made by the Kosovo and Serbian authorities as well as by the international community to search for and identify missing individuals. Together they have succeeded in resolving more than 2,500 missing person cases. However, Milorad’s brother is still included in the figure representing those who have not been found. After few years of his brother’s kidnapping, Milorad received information about a mass grave next to the place where the mine workers disappeared, and an excavation began in the site. “Twenty-seven people were dropped in one of those mass graveyards, all of them, workers of the Serbian company. However, in the end, Kosovo Security Forces (KSF) took over the excavation of that site. I was against it because members of the KSF are usually former members of the UÇK and I thought that there is a conflict of interest”, explains Milorad. Then he tried to convince the company to conduct itself those excavations, however, the company did not want to excavate due to the lack of safety. “And when they [the KSF] finished digging there was a fire at the site. No one can prove that it was deliberate, but it was burning for two days,” he adds. The day after the fire, he went to the site again with the Red Cross. He saw something being dug up from that hole, loaded into trucks and driven away so he took photos. The policeman was afraid when he saw him and told him to go back and to stop photographing. “I told the driver to go but at one of the checkpoints on the way back from the site, a police officer took my camera and deleted the photos,” tells Milorad. This is the first time that Milorad Trifunovic has shared what happened during the excavation because he now represents all the families that have kidnapped or missing people in Kosovo. Fighting to find his brother remains, he founded one of the family associations of Serbian families of Missing Persons, located in Mitrovica. Since almost one year ago, he has also coordinated the multi-ethnic Missing Persons Resource Center, located in Pristina. The latter is a joint effort between Albanians, Serbians and other community associations to find the missing people after the conflict. Once the war finished he moved to the north of Mitrovica due to the hostilities between both communities, however, he truly believes in this project, and several times per week he works in his office in Pristina. “We are trying to find some ways for the future. All the victims are the same, their nationalities do not matter. We are not asking how many Serbians, Albanians or Romans are missing anymore. We just want to find out the truth for the (around) 1.600 missing people. For that reason also, we are not working with the governments. We prefer to be independent and work together (Serbians and Albanians),” he explains.